We gotta give it to Chanel…they’re never running dry when it comes to creating the most fascinating of pieces! Of course, sometimes it could get too fancy for our tastes and all, but they’ve strived for the past seasons to give us only the best (and that is definitely noteworthy). From the magnificent Cruise 2016 Collection comes another piece that’s worth bragging, the Multicolored Flap Bag! Highly reminiscent of the French flag (and other iconic symbols we could associate with), this quilted beauty screams “flawless” and “fashion-forward”. This is enough to get you some hypnotic stares from fellow bag lovers, so be prepared to be under the spotlight when you sport this baby! Aside from its quad-color scheme, you may notice its gold clasp, which is shaped like an envelope with a ‘CC’ on it. This is something different, alright. What do you think about this piece? Is it something you’d consider getting? Tell us your thoughts! 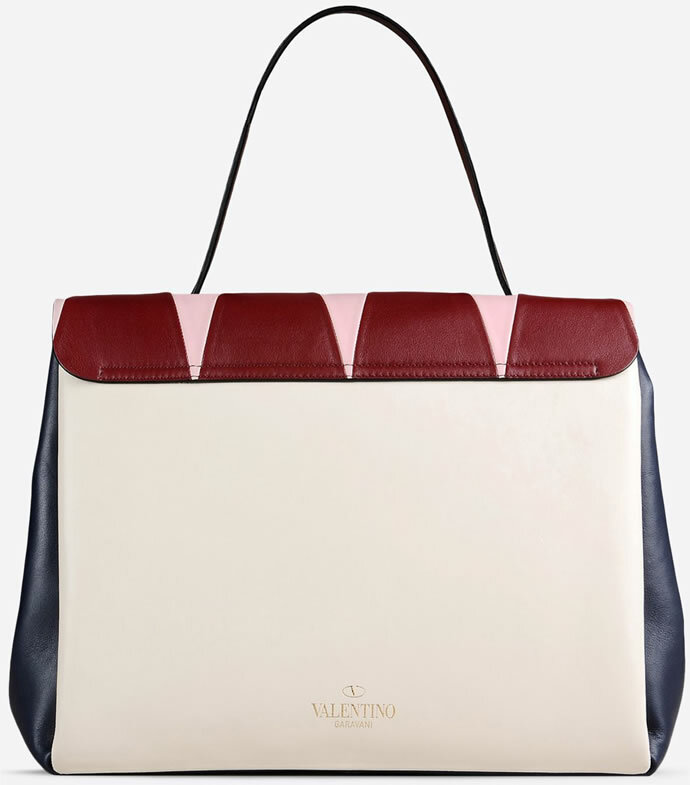 Valentino definitely knows how to get the lady’s attention. This single handle bag has a subtle, tasteful extravagance to it. 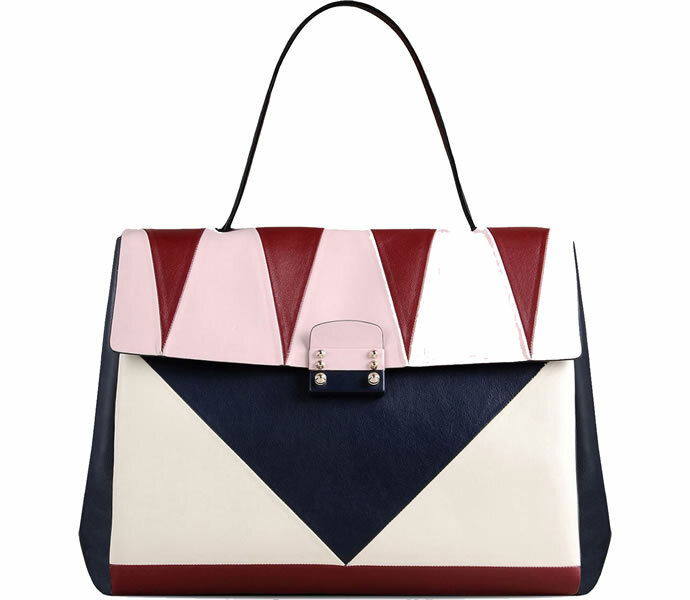 Crafted with calfskin leather all over, the exterior composes of red and pink triangle inlays on the flap, that also conceals metal closures; while the rest of the bag is a two-tone beige and blackish-blue combination with red detailing at the bottom. 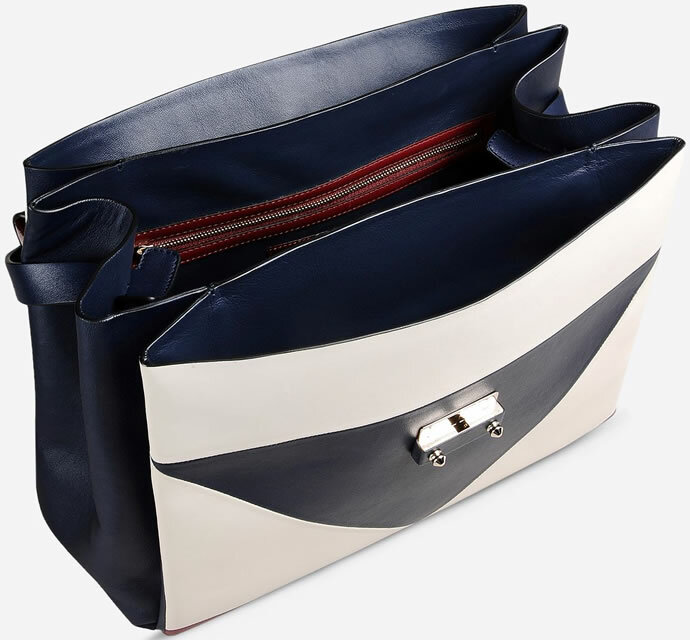 The broad-bottomed inside, also lined with the dark colored leather, is spacious with three compartments and a red high-lighted zipped pocket. The Italian-made bag comes in one size only and from the looks of it, makes for perfect office use. This Valentino would speak of you, not as just a smart professional, but also as someone who is à la mode with the latest fashion trends. 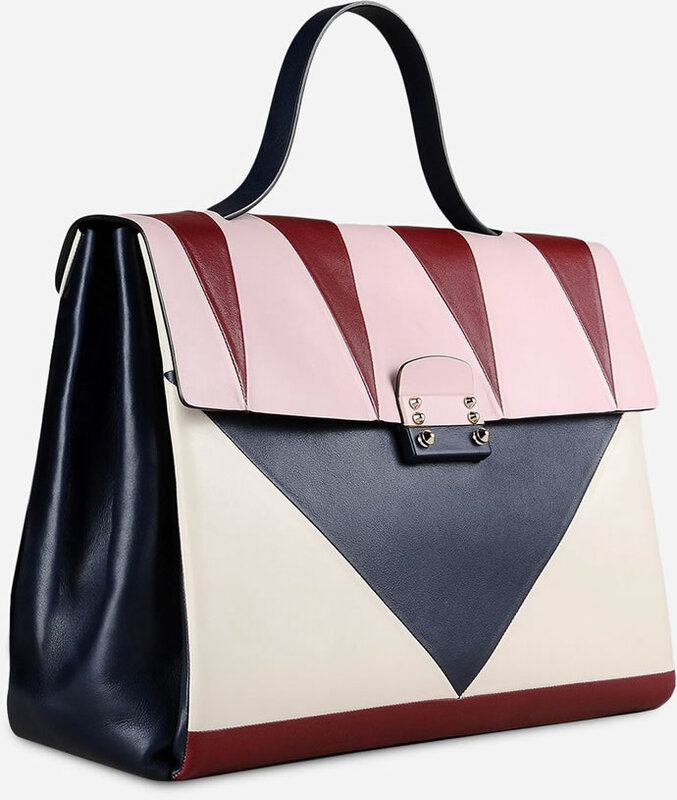 Retailing for a grand $3,080, this trim bag can be bought from the fashion house’s website.